Friday, we watched a precious baby girl be laid to rest. I will never forget driving past the beautiful fields of cotton, following the line of cars as we headed to the cemetery. Karma Lilly Little passed away last Tuesday, September 19, at 7 years young. 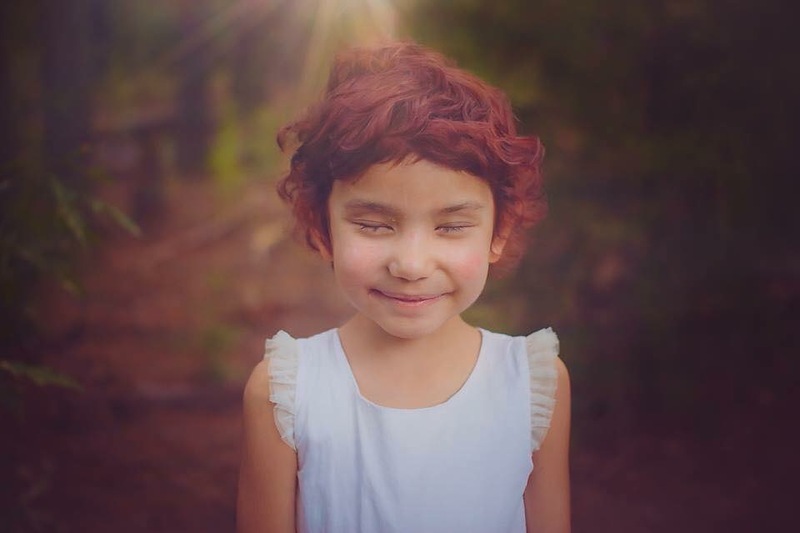 She was diagnosed with stage 4 Neuroblastoma at 3 years old, just as Charlotte was. Sweet Karma fought HARD for 4 years. As many of you know, we became very close to Karma and her mom. When we practically lived most of 2016 in NYC, so did they. When we had no other family around, they were there. When Charlotte spent 17 days inpatient we always got a visit. When I needed help with Eleanor, Jennifer was always willing, as long as she didn’t hold and or kiss Eleanor, Karma approved lol (she was very jealous of her mom showing affection to any other child) We explored NYC and made many memories together. Karma’s hugs were one of the most real hugs a child, other than my own, has ever given me. She felt with her whole heart and loved everyone. She did not let cancer or her circumstances define her. She had over 24 rounds of chemo, 8 surgeries, 3 rounds of MIBG radiation, 48 rounds of radiation, 4 rounds of antibody, and countless scans, shots, transfusions and blood draws. None of this EVER phased her strong, sassy, and fearless spirit. Karma was a fighter! Up until the very end. Even feeling horrible, in so much pain, with minimal drinking and no eating, she wanted to see the world. Days before her death, she went to D.C. To participate in Curefest. An event that happens in front of the Whitehouse in hopes of bringing forth awareness of the minimal funding Childhood Cancer receives. She also insisted on going to California to fulfill her dreams of seeing the Redwoods and becoming a California police officer. It was there, in her daddy’s arms, that she passed. Many of us will never understand. We will always ask why. Some days we may yell in anger. Other days we will cry with broken hearts. Throughout all of these emotions, one thing is to be remembered, There is a BIGGER plan. One that we may not understand but is there. Sweet Karma Lilly is no longer in pain. She no longer endures the fear and agony of what treatment may do. She is laughing and dancing in the streets of gold. The streets that I hope, one day I will see her on and she will hug me the way she always has. She will forever be missed but will never be forgotten. Precious Baby. My heart is broken for her family. Thankful that she is in pain no more. I’m sure she endured more than any child should ever suffer. Heartbroken with tears falling. My prayers for her family,friends and All whose lives she told touched. This sweet child will be remembered for her joyful love for life and for others. And for her strong will to fight the good fight. Soar the heavens Sweet Karma Lilly. Your beautiful soul has been set free. So beautifully written! I’m so sorry for her family, for you and your sweet fam and all the lives she touched. What a loss of a sweet child. My heart is breaking…..so very sorry. Heartbreaking indeed. Glad you were there for each other.